IMS™ provides leadership in performance, reliability and security to help you implement the most strategic and critical enterprise applications. IMS also keeps pace with the evolving IT industry. Information Management System Version 11 (IMS 11) provides an open, integrated, and distributed data access solution; improves connectivity and ease of use; increases system availability; and offers an architectural road map that supports future growth. With IMS 11, a suite of Universal drivers supports IMS database programmatic access with Type-4 and Type-2 connectivity. You can now access IMS in a uniform way using the industry standard Distributed Relational Database Architecture™ (DRDA®) protocol from any platform and from within the most strategic run times, opening growth and expansion opportunity. IMS DB metadata is exposed with the standard JDBC API and therefore can be consumed and visualized by JDBC tooling. Query syntax uses standard query language syntax. The new IMS Enterprise Suite V1.1 components are designed to enhance your use of IMS applications and data by delivering innovative capabilities that enhance connectivity, expand application development, extend standards and tools for a service-oriented architecture (SOA), ease installation, and provide simplified interfaces. IMS 11 also helps lower your IT costs in the areas of business flexibility, simplified administration, and growth. 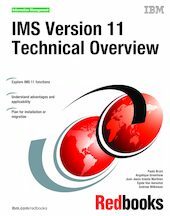 In this IBM® Redbooks® publication, we explore the new features of IMS 11. We review the available material and include feedback from early users. The intent is to highlight the major new functions and facilitate installation and migration.